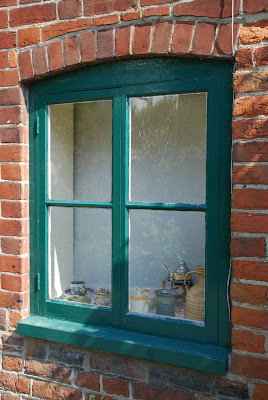 I love this shade of green and the owner of this house could not have choces a better colour for her/his window. It's the little items on the window shelf that fascinate me. t is a nice deep green, but not grarish. Works well against the rusty brickwork. Rosssse! I really must agree. The shade of green in contrast with those beautiful bricks is just lovely! I love that color too! It's gorgeous and so rich! I agree with the green! goes perfect with the bricks! I haven't been keeping up very well! 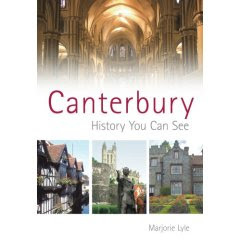 But Canterbury is as beautiful as ever through your lens. It's nice to see Babooshka, Marie Reed, Hilda and Louis are getting around the web as well as ever! And a few new names, too. Love the color and the brick- and the shelf with a display and in a house rather than a shoppe- so nice!